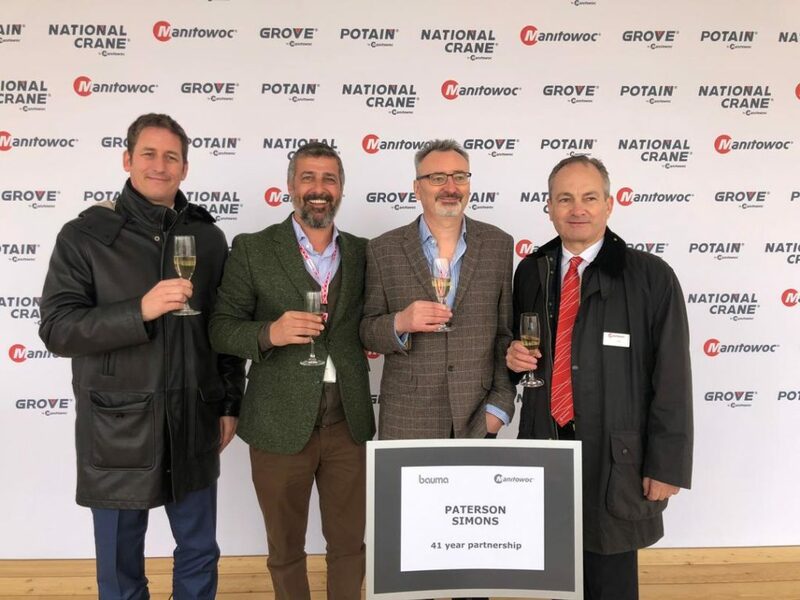 Paterson Simons was pleased and honoured to be recognised with an award at Bauma 2019. 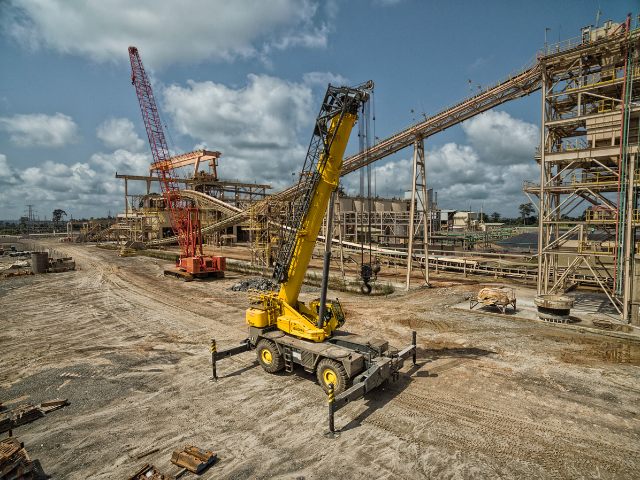 Manitowoc marked our partnership which entered its 41st year in 2019, with a short ceremony. 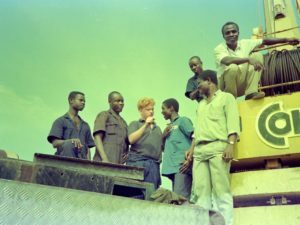 Paterson Simons commenced as dealers for Coles Cranes back in 1978 and a few machines from that era are still in service in West Africa today. From Left David Semple, SVP Manitowoc, MEIRA region. Tommaso Mariani, General Manager Pasico, John Traynor, MD Paterson Simons and Paul Rogers, Manitowoc Sales Director for Africa.